A "Christmas trellis" will be the newest feature of Bethlehem, Pennsylvania's famous Christmas displays, and it will help raise money to make the celebration better year after year! Many cities have traditional Christmas displays like lights hanging in the trees and garlands draped across the storefronts, but Bethlehem is debuting an installation this year called the Christmas trellis. The Morning Call has details on the new Christmas art piece. 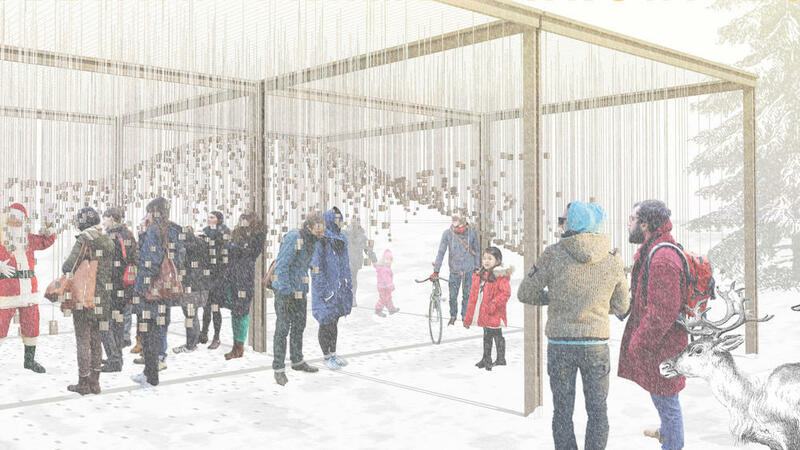 The trellis will support hanging chimes that should ring in the breeze like a huge windchime. Each chime will also hold an ornament to add some variety to the display. Each ornament will be for sale at $50 or $100 levels to raise money for Bethlehem's purchase of artificial Christmas trees with LED lights to place around the city. Previously, those 800 trees were live trees, which caused an environmental and economic impact each year when it came time to cut down and decorate 800 trees. The proceeds from selling the Christmas trellis ornaments will go toward the one-time cost of purchasing 800 artificial trees, and by December 10th, anyone who sponsored an ornament may take their ornament home from the display. Visit the Lehigh Valley Chamber of Commerce site to order one of the ornaments to benefit the fundraising effort and stop by Bethlehem this Christmas to enjoy the trellis in Payrow Plaza and wander around the rest of the famous "Christmas City"!